"Elizabeth is at a crossroad. She's been given the chance to experience life outside of her community, away from the responsibility to care for her eight younger siblings, but Elizabeth Bontrager can't decide which road to take. Goshen has its charms and pressures, but Paradise, Pennsylvania, sounds . . . well, like paradise. And it's also home to her Englisch friend, Paula. Decision made. Elizabeth is Paradise bound. But will the small town live up to its name? When Elizabeth meets Paula's friend, Bruce, she quickly learns he wants more than a friendship. And the same might be true of Saul Miller, her new boss at the country story that sells Amish products to the Englisch community. As the two compete for her attention, Elizabeth is surprised to realize she misses her family and becomes even more uncertain about where she belongs. She has a choice to make: return home or embrace this new life and possibly a new love?" Y'all know me and Amish fiction. I can't seem to resist it and in this case, I am so glad that I didn't even try to resist the opportunity to review this book. Imagine leaving everything you know to go and live in a place that you've never been and where you only know one person and her life is nothing like yours...Terrifying and maybe just a little bit exciting to be sure. I've never read any of Barbara Cameron's other books, but I loved this one. The characters are so well rounded and have depth. Elizabeth's struggles are so real that you can't help but hold your breath as she goes about discovering who she is and what she wants from her own life. 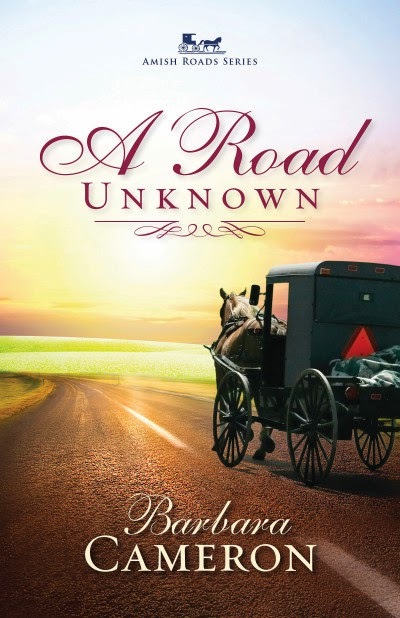 If you have a chance to read this book and love Amish fiction or heck, just good writing, I can't urge you enough to check it out.